Jared J. Finnegan gives an overview of The economics of climate-resilient development, a new book edited by Sam Fankhauser and Thomas K.J. McDermott, which he also contributed to. 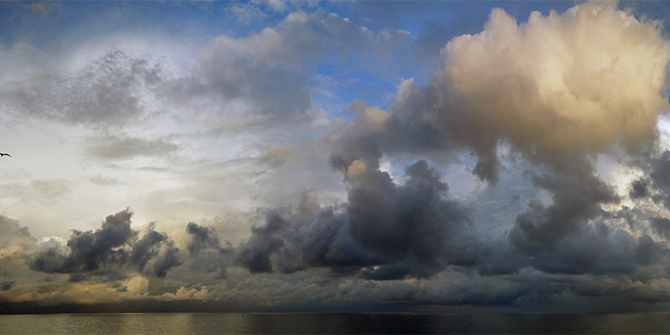 The book explores the link between adaptation to climate change and economic development. The authors hope this new edited volume can help inform adaptation policymaking and contribute to the widening literature on climate-resilient development. Climate change adds further complexity to existing problems of economic development, argue the editors of The economics of climate-resilient development. 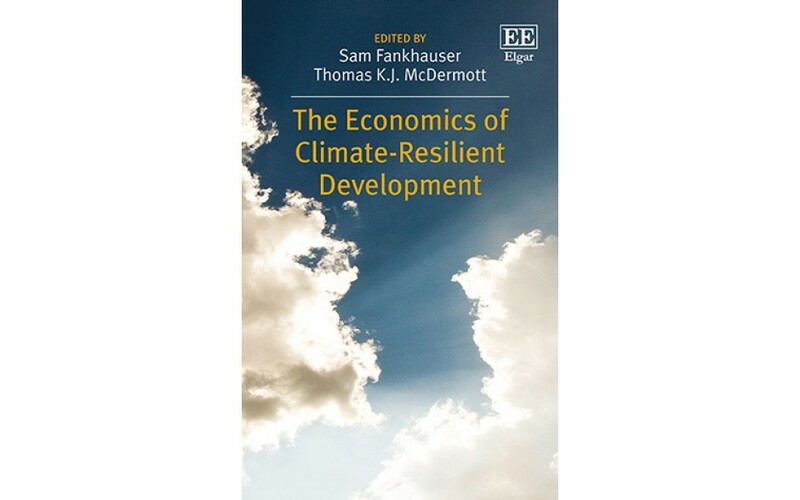 This new volume is comprised of chapters that examine the link between adaptation to climate change and macro-level trends of economic development, rather than technical cost-benefit analyses of particular policy response, which has characterized much of the literature to date. For this reason it is an approachable read for policymakers, as well as researchers outside of economics. Most basically, it asks how poverty alleviation and climate resilience, ‘the two biggest societal challenges of the twenty-first century’, can be pursued simultaneously through what it calls ‘climate-resilient development’. An underlying theme of the volume is that the impact of development on climate resilience is ambiguous and context-specific. It will depend on the future effects of policy decisions made today rather than autonomous changes brought about by economic growth. Indeed, the book describes a two-way causal path that runs between climate change and development. Extreme weather directly impacts development through its effects on agriculture, labour productivity, disease and human and physical capital. However, development also influences vulnerability to climate change. Economic diversification, patterns of urbanisation, crop choices, water management and infrastructure design influence countries’ development, as well as their vulnerability and resilience to extreme weather. Instead of adopting a wait-and-see approach to adaption, politicians should begin climate-resilient development planning now. The book identifies three priority areas for policymakers: (1) strategic short-term decisions that have long-term effects on vulnerability, such as urban planning and infrastructure design; (2) low-regrets measures that have immediate and positive impacts for both economic development and climate resilience and (3) policies with long lead times that take time to pay off, such as research and development. Moreover, strategies for climate resilience should be dynamic. Economic growth, population growth, technological innovation, globalization and urbanisation are hastening processes of deep socio-economic change, especially in developing countries. Adaption policymaking should recognize and leverage these macro trends rather than trying to stymie them. For example, in the chapter on urban adaptation, my co-authors and I argue that through compact urban growth, connected infrastructure and coordinated governance, policymakers can manage urbanisation in a way that produces economic benefits and climate-resilience. Although the book is written from the perspective of economics, it also contributes to our understanding of the politics of climate resilience. The book’s editors acknowledge that adopting and implementing effective adaption measures can be difficult due to ‘existing rigidities and path dependencies’. Therefore, climate resilience is as much about political economy as it is about development planning, which should pique the interest of political scientists everywhere. Indeed, the book raises many political questions. For example, it describes practical policy responses and complementing institutional and governance forms that can foster climate-resilient development. However, the attendant politics of such policies is left unexplored, making it an area ripe for political science research. How might political ideology influence adaptation policy? What are the effects of political institutions, such as electoral systems? What is the role of organized interests? Furthermore, what are the politics of long-term climate change decision-making, especially under conditions of uncertainty and when those decisions require the imposition of short-term costs? Political scientists have much to contribute to answering these questions. Indeed, as Robert Keohane recently pointed out, climate change poses a distinct challenge for political science, which too few of us are tackling. Jared J. Finnegan is a PhD candidate in the LSE Department of Government and the Grantham Research Institute on Climate Change and the Environment. His research focuses on the comparative political economy of climate change policy. Follow him on Twitter at @jjfinnegan. ‘The Economics of Climate-Resilient Development’ is now available from Edward Elgar Publishing. Note: this article gives the views of the authors, and not the position of the LSE Department of Government, nor of the London School of Economics.